Bay View Resort is nestled directly in front of the 1.2 miles long Myrtle Beach Oceanfront Boardwalk, a lengthy stretch that provides pristine views of the entire beach line and direct access to numerous shops and restaurants as well as the Myrtle Beach SkyWheel. Along this curving path, guests can enjoy oceanfront views, a refreshing sea breeze and some of the greatest dining and entertainment the beach has to offer. 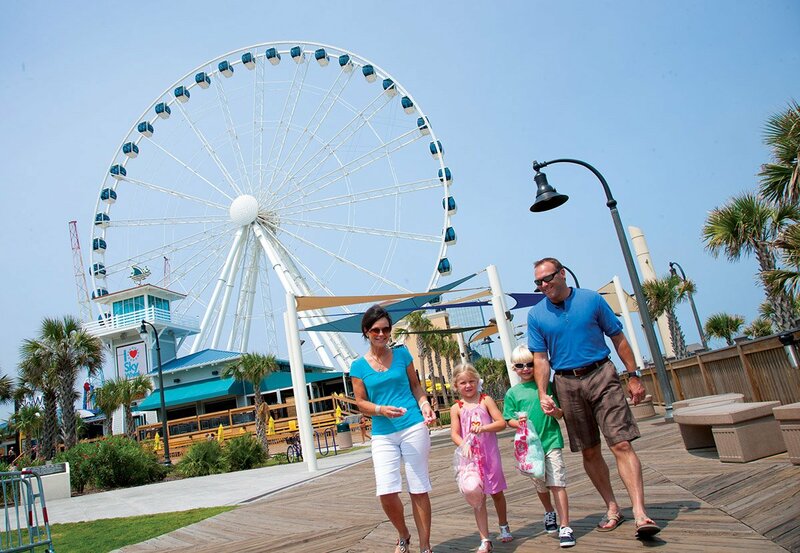 You and the family can enjoy exciting attractions, shops, bars and restaurants that dot the 1.2 miles oceanfront stretch of the Myrtle Beach Boardwalk. 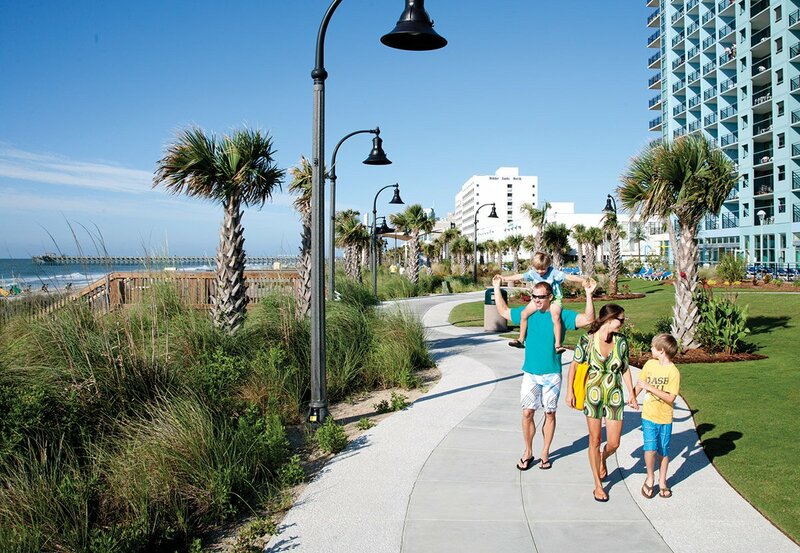 Take a break from the water and stroll along Myrtle Beach’s Oceanfront Boardwalk. A brand new feature of Myrtle Beach, the Boardwalk hosts some of the city’s favorite festivals and events. 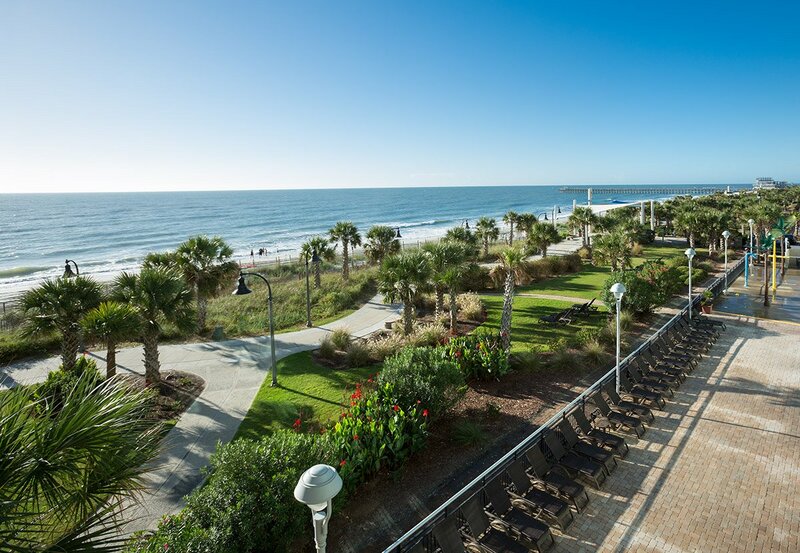 The view from our balconies is stunningly gorgeous and has the added impact of the Myrtle Beach Boardwalk’s sweeping panorama. Plan your daily adventures from on high. There are several direct beach access points along the Myrtle Beach Boardwalk. This makes it quick and simple to locate your prime piece of beach real estate.